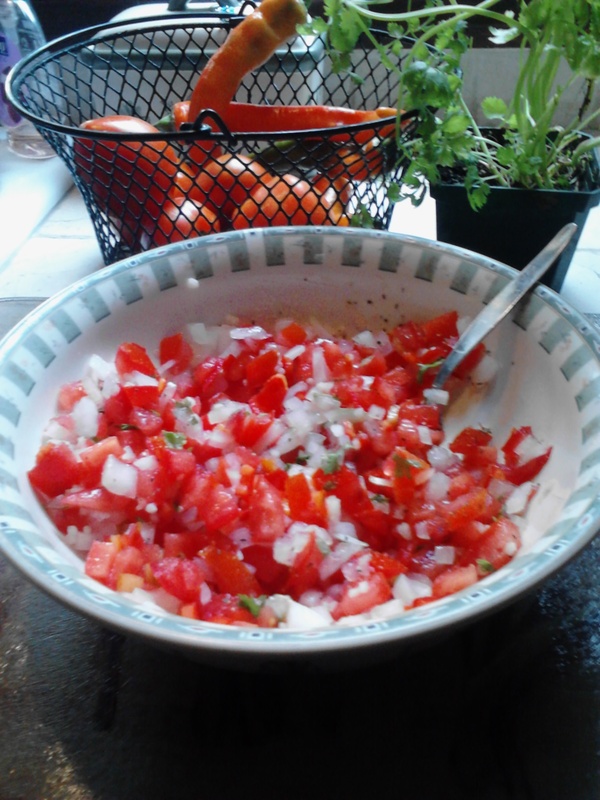 I just made a salsa recipe I had seen on the web. I tweaked it a little bit so can I guess I consider it my own recipe? Well hot dog isn’t that awesome. 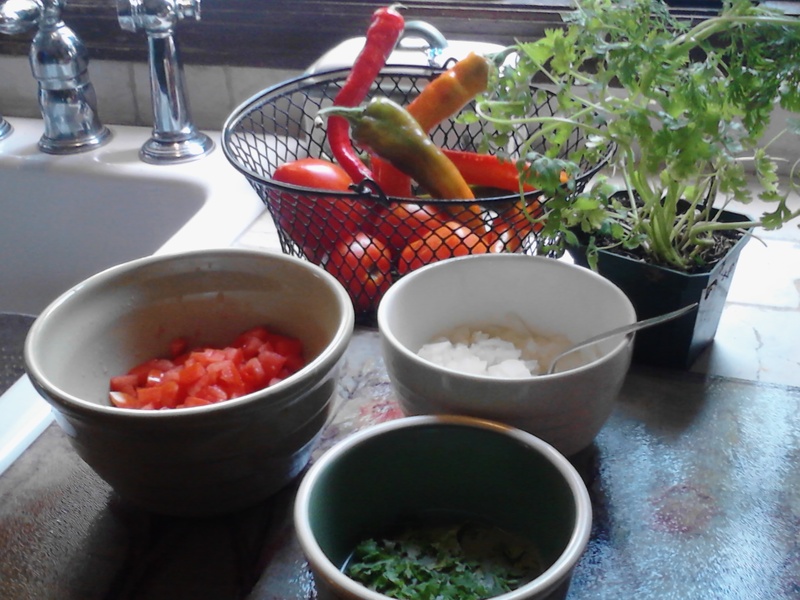 I will call it farm fresh cilantro salsa, only because I used everything straight from the Farmers Market that I went to today. I have to say I’m pretty proud of myself. Mince onion and garlic and mix together in a small bowl. Boil 1/2 cup of water and add onion and garlic. Remove from heat and let simmer 3 minutes. Drain well. Add together remaining ingredients and mix. Chill for approximately 2 to 3 hours to let juices set in.